It appears that Canada and Bernie Sanders share a mutual appreciation. With all eyes focused south in 2016 on the US election drama, Senator Bernie Sanders became a household name north of the border for his progressive (i.e., Canadian-like) ideas on health care, income distribution, and fighting special interests. So it was no surprise that his appearance in Convocation Hall at the University of Toronto on Sunday created quite a stir. In fact, Ed Broadbent of the Broadbent Institute likened his welcome to that usually reserved for rock stars. Sanders challenged Canadians to “stand up and defend” their health care system and not take it for granted. The event was entitled “What The US Can Learn from Canada’s Single-Payer Health Care System” and was part of a broader Canadian tour that introduced Senator Sanders to doctors, patients, and health care infrastructure across the province. The objective of the tour was to learn the strengths and weaknesses of Canada’s universal health care system and bring the learnings back to the Senate. After opening remarks from Ontario Premier Kathleen Wynne (and an enthusiastic standing ovation for newly elected NDP leader Jagmeet Singh), the Vermont Senator opened with a brief history of universal health care, originating in the UK in 1948 and spreading to Canada, through Saskatchewan and the work of Tommy Douglas, who Sanders noted was voted The Greatest Canadian. Many of the differences between the Canadian and US health care system were discussed, and the Canadian system did not get a clean bill of health from the Senator, who expressed learnings on poor wait times and consistent quality of service issues. However, the real problem was framed simply: how does Canada provide universal health care for 50 percent of the cost per capita of the US system? The answer according to Sanders is the US system is designed to make billions of dollars for the drug companies and the insurance companies, not to help patients. The event concluded with a discussion between Senator Sanders and prominent Canadian physician Dr. Danielle Martin from Women’s College Hospital. 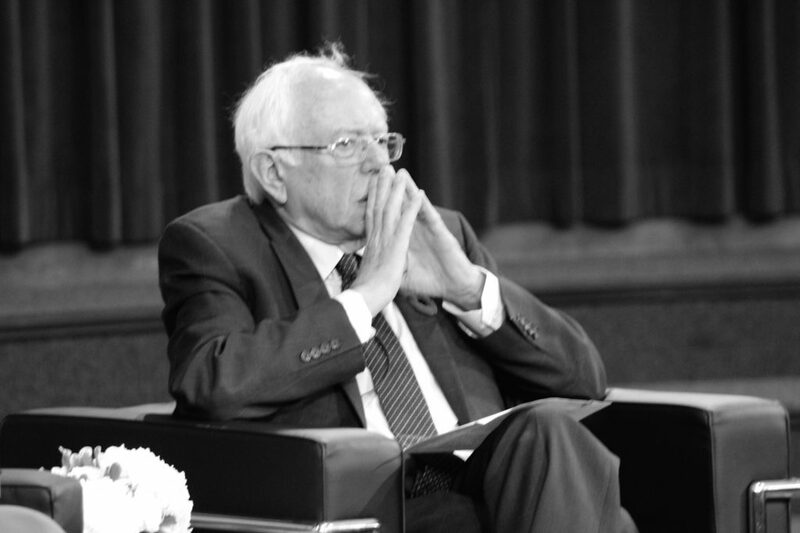 When ask for the top learning from his Canadian tour, Sanders responded that physicians can provide better service when the treatment doesn’t begin with financial discussions and insurance companies. So how does Canada pursue better service? Sanders challenged Canadians to “stand up and defend” their health care system and not take it for granted. Much like our country’s recent statements on diversity, the Senator believes that banging the universal health care drum on a world stage will help other countries adopt the same. Sanders also made what could be considered a savvy direct appeal to a university audience becoming as known for its tech innovation as its academic prowess, noting that “the education system must change as quickly as technology is changing” to ensure that students receive modern, relevant education. Summing up his health care tour, Senator Sanders said that US has a lot to learn from Canada. Having “Gone North”, Sanders visit makes it clear that US appreciation extends well beyond our tech talent and innovation leadership. Jeff Goldenberg is the Co-Founder and Chief Strategy Officer of Abacus, a digital agency focused on performance Facebook and Instagram ads.